Because of its historical significance, Laxton has been chosen as a topic for a number of media items. Stuart has assisted with programmes for radio and television as well as for items in magazines and newspapers. 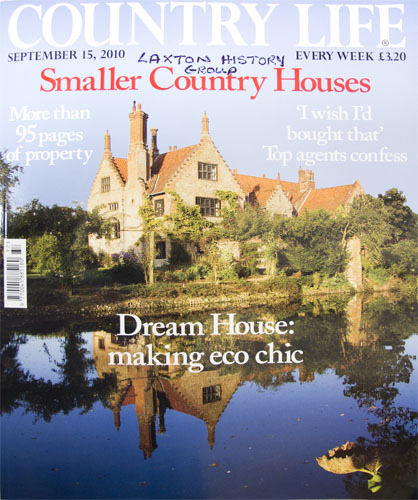 The September 8th 2010 edition of 'Country Life' magazine contained a six page feature on Laxton with text by Clive Aslet, whom Stuart had shown around the village and fields, describing the unique system to him. 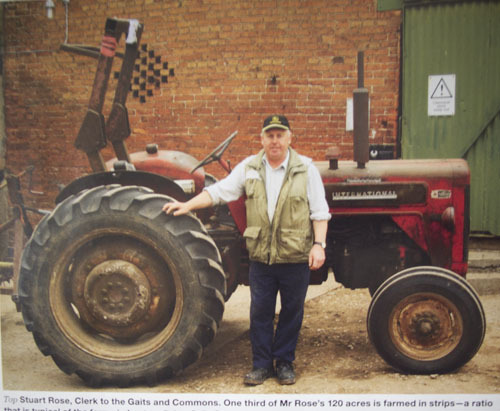 Stuart arranged for the magazine's photographer, Mark Fairhurst, to be shown around Laxton and introduced to local residents and the Steward of the Court Leet to enable suitable photographs to be taken to illustrate the article. Stuart and the Laxton Court Leet and Jury were pleased to welcome Michael Wood's team from Maya Productions to film their proceedings in late 2009 as part of a larger project screened on BBC4. 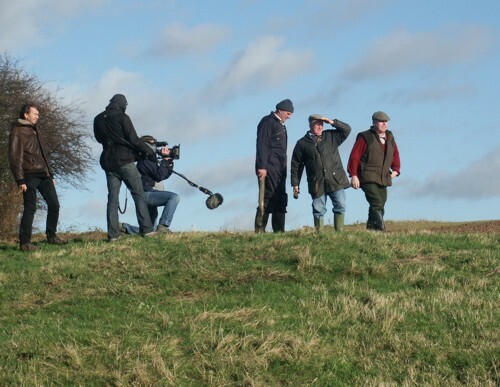 The Laxton footage featured in the second episode of 'Michael Wood's Story of England' in October 2010 which was later repeated on BBC2. Stuart has forged a good working relationship with WAG Scre en, an group from Lincoln who first came to Laxton in 2007 to film the harvest sequence in their enactments from the Luttrell Psalter an illuminated manuscript made for the Luttrell family of Irnham in Lincolnshire, between 1325 - 1340, which is housed in the British Library. The film was premiered at 'The Collection' in Lincoln in May 2008 and very well received. Later in the year the group returned to repeat the harvest filming in better weather. The Luttrell Psalter film is intended for use with school parties and is now available. See Links page for more information. 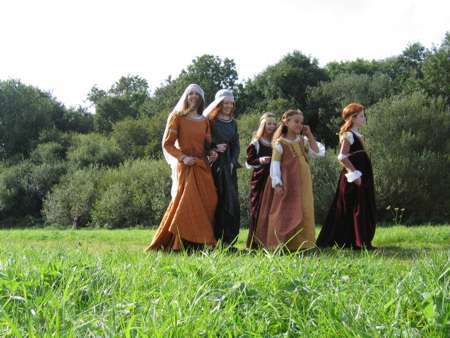 Laxton also provided locations for some of their film dramatisation of 'The Lady of Shalo tt' to celebrate the bicentenary in 2009 of Tennyson's birth . 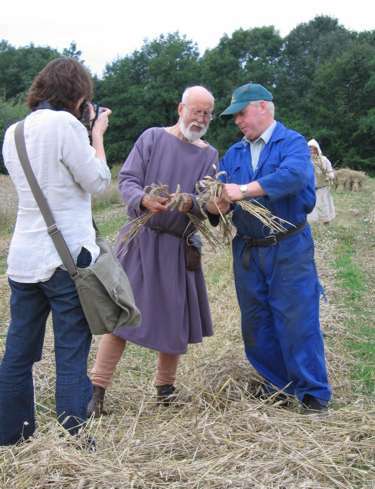 Stuart assisted in the selection of a location for the filming, gave the use of a strip of wheat and advised on the methods used for cutting, binding and stacking the corn. The film premiered at Lincoln on 15th May 2009 and is now released. 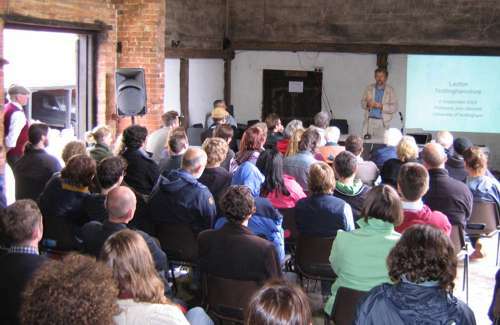 In 2008 Stuart collaborated with Nottingham Contemporary in bringing their 'Disclosures II' event to Laxton. 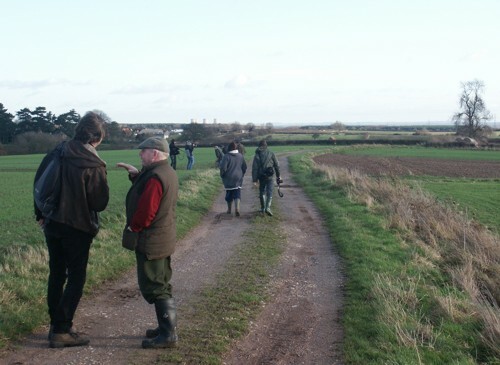 Another farmer, Mike Jackson, provided the premises and Stuart arranged catering, assisted the planners on their reconnaissance visits. He took part in a discussion and led a walk forming part of the event. To discuss your requirements, please contact Stuart Rose.